Vivid Racing just finished fitting and testing our new Agency Power high flow exhaust system for the Porsche 997.2 Carrera. 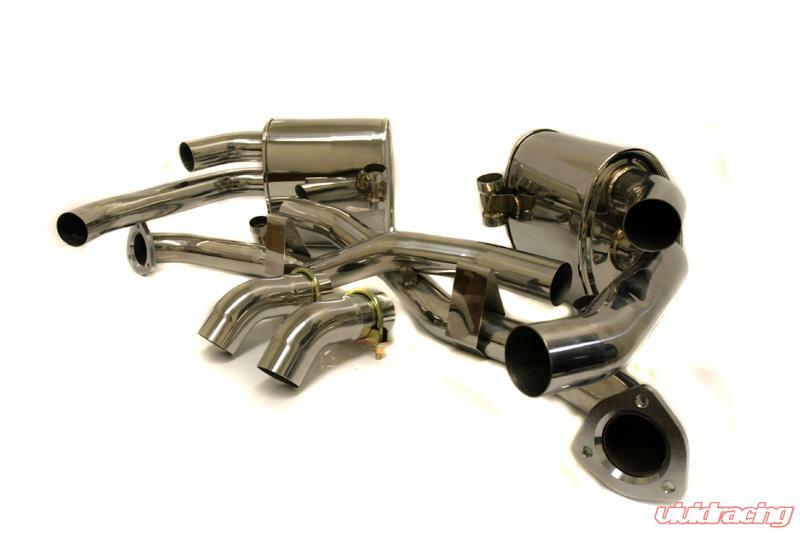 The exhaust system features high quality and tuned mufflers in addition to the high flow Xpipe in the kit. The exhaust has been tuned to produce an incredible race tone without alot of drone as portrayed in our Cabriolet video. 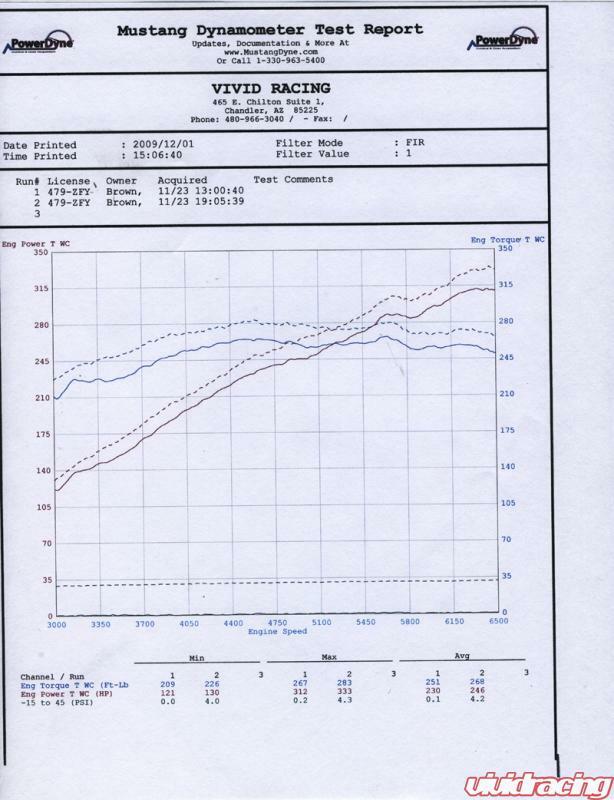 As tested on our Mustang Dyno, the exhaust made 21HP and 16ft/lbs of torque to the wheels. 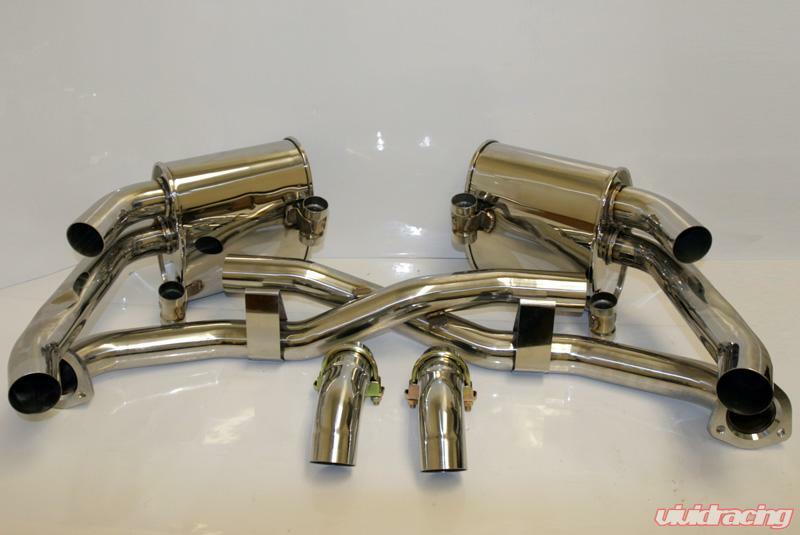 The exhaust fits with our Agency Power dual exhaust tips or stock tips as pictured. Since this retains the primary catalytic converters, there are no check engine light or emissions issues. The entire exhaust is 304 stainless steel and polished to a show finish. It uses the OEM mounting points and hardware. The exhaust includes a 1 year warranty on parts. Check out the installation pictures, dyno, and sound clip. Need 10 people Committed - $1395 Shipped in the continental 48 states. Add polished or black tips for $495. Will ship first part of January. Do you have a picture of the Agency quad tips? How much are they? Im interested in the exhaust. But only suitable for 997.1 cars, right ? They fit 997.1 and 997.2. Will have the site updated. Could you please install the different options on a 997.2 and show them ? The 3rd picture down on the 1st post has the Agency Power tips on it in black. Production pieces are here. Will have new pics and video soon. Anyone that wants to move on this deal ahead of time, let me know. Just to clarify, will this kit fit on a 05 997S?? Yours would be a 997.1. So no it will not fit. Vivid, are these still for sale? Here are some new product photos. Need someone to do a better video though!